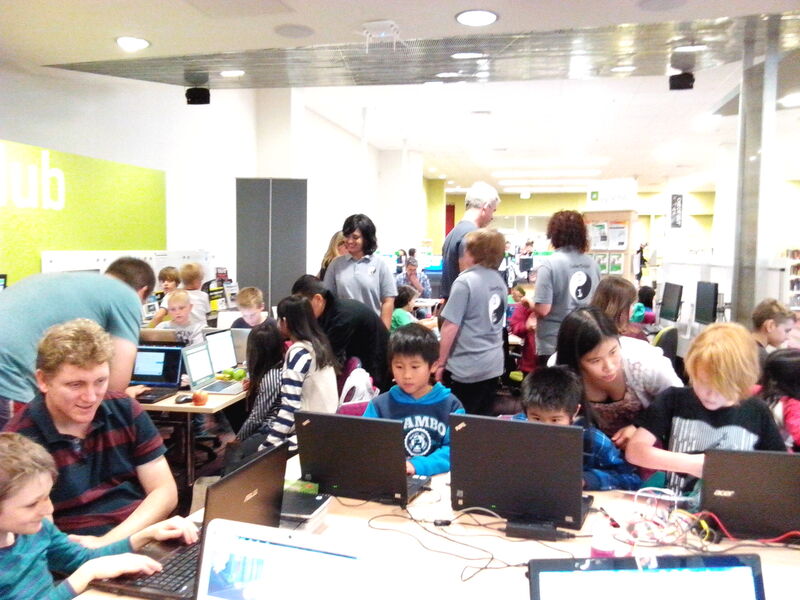 Home › coderdojo › CoderDojo Term 3 is well underway! CoderDojo Term 3 is well underway! Saturday 2 August saw Chermside term 3 kick off to a fantastic start. It was great to see such a large turnout at our week 1 session, with everyone getting involved. A huge thank you to all the Chermside mentors, the session ran very smoothly and it was great to see everyone encouraging each other to demonstrate their work from Scratch. Week 2 at Chermside will welcome robot demonstrations. Using Scratch the kids will use basic programming concepts to control the robot. We hope to see you all there! 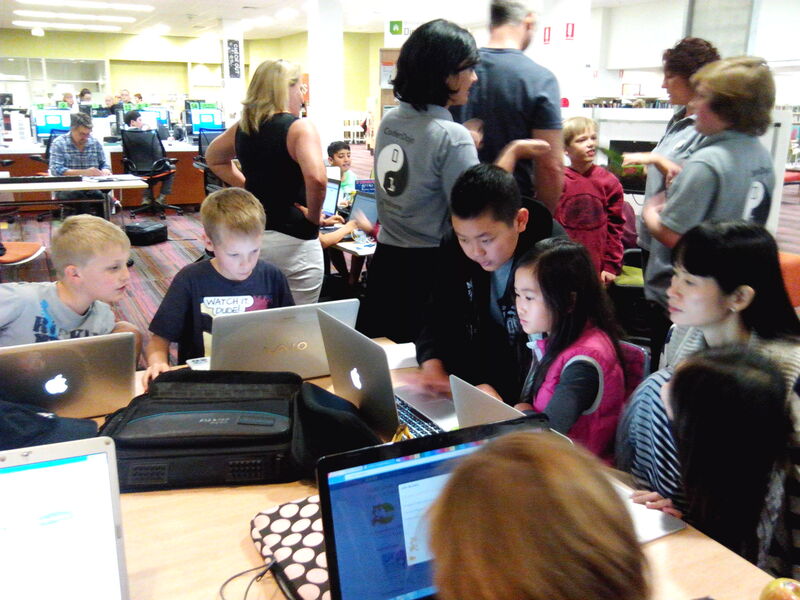 Carindale is entering week 3 and will follow on with week 2’s developments in Codecademy, Python and Scratch. Never fear, Morry will be back on Saturday 16 August for more robot demos. Week 2 at Sunnybank Hills saw new mentor Dylan introduce HTML to the participants and also saw Tania and Calean do a fantastic Makey Makey demonstration. A big thanks again to all involved. 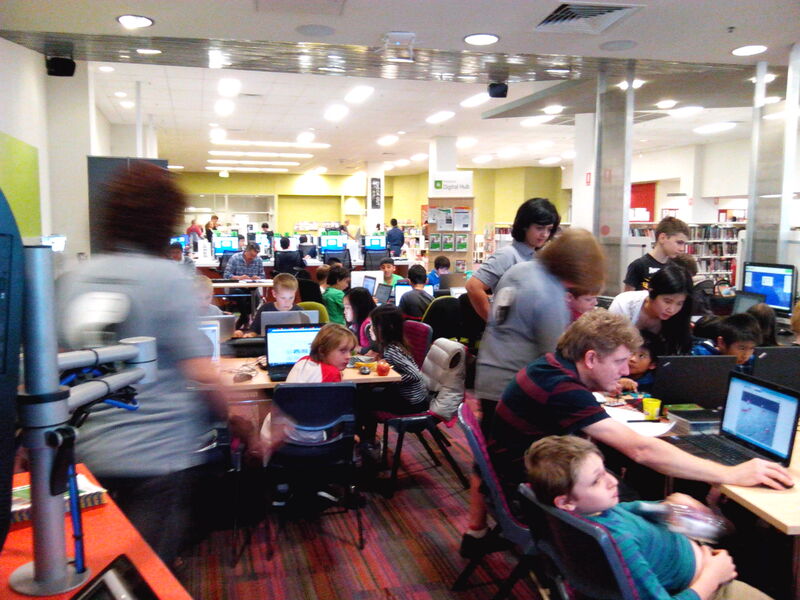 Mt Ommaney CoderDojo kicks off this coming Saturday 9 August at 12.30pm! For those attending please ensure you bring along a laptop, laptop charger, a snack and also a signed permission form. Once again a big thanks to all those involved and we look forward to seeing you all again this Saturday!